It makes sense to contact a dealer before you visit them, to check that the car hasn't been sold that day. They will be able to advise you on the mileage, the service history, and general state of the car you are interested in before you travel to see it. Ideally, the dealer will have several similar cars for sale so you can choose between these and help you make a better informed decision. 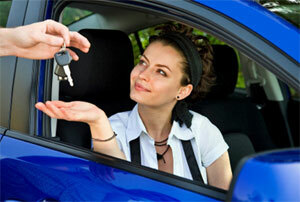 We have a directory of used car dealers across the UK. Use our used car search to find cars near you, and click on the link to the dealer to find their contact details and to see what other stock they have available.